Lead is a neurotoxin that can poison a child's brain if it is ingested. The effects of lead poisoning are drastic and permanent, and more severe the younger the child. Children that have been lead poisoned suffer from acute learning disabilities; diminished IQ scores; and struggle to stay on grade level as they progress through school. Lead poisoned children are far less likely to graduate from high school, go to college, or get a post-graduate degree than those who aren't. There is absolutely no cure for lead poisoning. The lawyers at Levy Konigsberg have recovered more than one hundred million dollars on behalf of lead poisoned children for their diminished earning capacities as adults; the shame and embarrassment of being left-back, picked on and made to feel less than, and for medical monitoring. 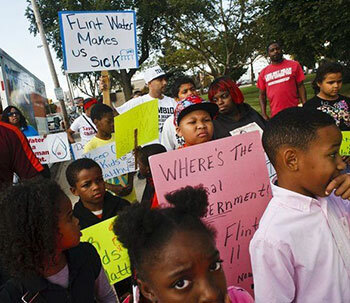 Our firm is partnering with the Flint-based firm of Robinson, Carter & Crawford, PLLC to bring individualized representation to children who have been lead poisoned by contaminated water in Flint. Since April 2014, children in Flint, Michigan have been chronically exposed to outrageously large quantities of lead in their water. Thousands of children drank contaminated water, bathed in contaminated water, and ate food cooked with contaminated water. At one point parents were told to boil their children's water, which only made it worse, insofar as lead in water becomes more concentrated when boiled. Even infants were exposed to lead in water if they were fed formula mixed with water. Lead is a neurotoxin, so when certain quantities are absorbed by people, specifically young children, lead causes brain damage. Lead poisoning really is brain poisoning. 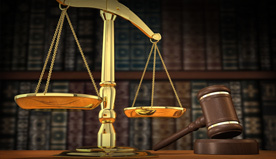 We are a nationally recognized lead poisoning law firm. We are proud to be partnering with a Flint-based law firm to fight for children lead-poisoned by contaminated water in Flint. If your child has been exposed to lead to due water contamination, you should get in touch with a lead poisoning lawyer as early as possible to determine if you have a case.